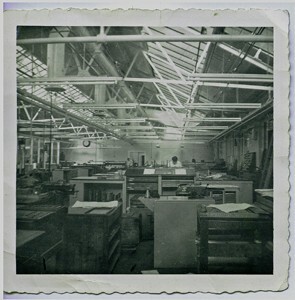 You are here: Home>Archive>Taylor Brown Collection.>Miscellaneous documents and objects. 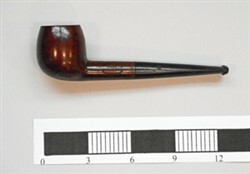 Small brown and black pipe. The bowl is brown and the stem is black. 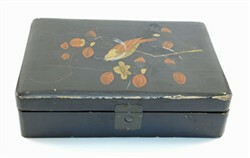 It is reported to be the one in the slides of the tablecloth taken in The Firs’ Garden. 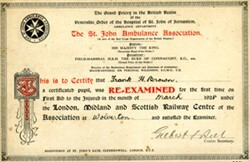 Certificate from St. John Ambulance Association. Black and white photograph showing interior view of McCorquodales Wolverton. 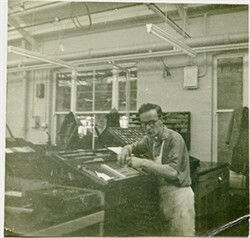 The picture shows a typesetter (thought to be Pete Copperwheat) working at a desk with a printing plate in front of him. 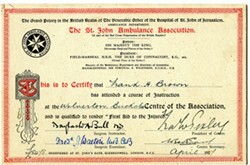 Wolverton Sick Nursing Association Annual Report 1932-33. 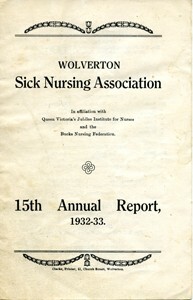 Wolverton Sick Nursing Association 15th Annual report, 1932-33. Printed on white paper and folded. It is stapled together in the middle. The writing is black. Inside the report lists the committee members, the number of cases nursed and the income and expenditure for the year. ‘Echoes of the Past’ written by Newman Cole and Warren Dawson and published by Wolverton and District Archaeological Society. 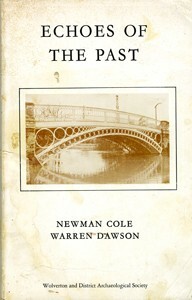 The book has a sepia print of the Iron Bridge in Newport Pagnell on the cover. 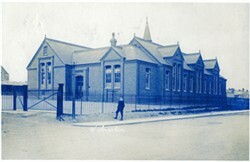 Boys School, Church Street, Wolverton. 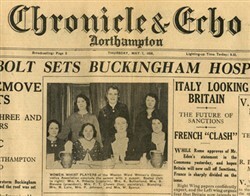 Chronicle and Echo, Northampton dated 7th May 1936. 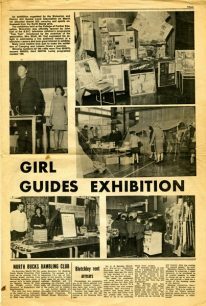 On the front is a photograph of the Women Whist Players of the Western Ward Women’s Conservative Association including Mrs. F.T. Chown. Newspaper article about Miss Florence Wildman. 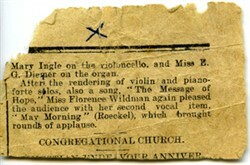 Newspaper cutting mentioning Miss Florence Wildman who was singing in a show, she was c.12 years old. 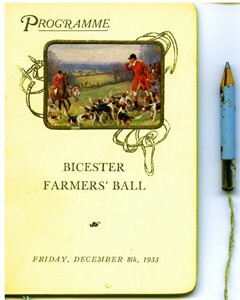 Bucks Standard Newspaper dated January 23rd 1937. 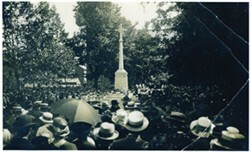 On page 3 is a description of the funeral of Mr. Ernest Brandon, at which Mr. T. Taylor was a pall-bearer. Man sat in a deckchair. Colour slide showing a gentleman sitting in a striped deckchair. 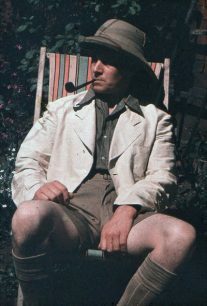 He is wearing a hat, a pale coloured jacket and a pair of shorts and he is smoking a pipe. Two people holding up a bedspread. 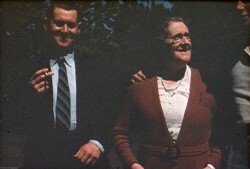 Frank Brown and a woman. 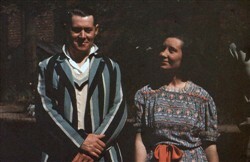 Colour slide showing Frank Brown wearing a striped blue, black and white blazer, with a white cricket jumper underneath. 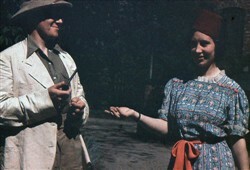 To his left is a girl who is wearing a blue dress with a red sash at the waist. She is looking up at Frank. Three people, one an older woman. 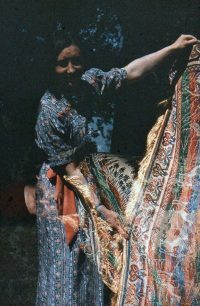 Girl holding up a bedspread. 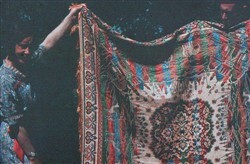 Colour slide showing a girl holding up a bedspread. The girl is wearing a blue dress which has a red sash. She is holding out the bedspread which is blue, red and green. 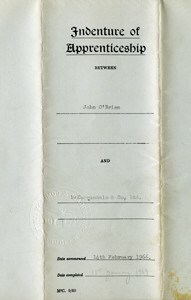 Folded document on stiff paper, Indenture of Apprenticeship between John O’Brien and McCorquodales dated 24th March 1966. Document folds out and is a contract for John O’Brien to be apprenticed to McCorquodales as a Compositor for two years eleven months from 14th February 1966.